Cycling is one of the most popular sporting activities on the Island, and their are many people who choose Lanzarote to enjoy this healthy past-time. There are many options available for both road cycling and mountain biking. For those who love hiking or cycling, the ‘Monumento Natural del los Ajaches’ is one of the best kept secrets of the Island. 5 Kilometres from Casa Rural Los Ajaches and inside the ‘Monumento Natural de los Ajaches’ you can find the beautiful and unspoilt Papagayo beaches. 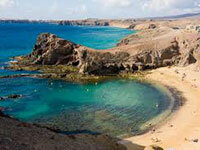 There are also daily boat trips from Playa Blanca. Owing to the clarity of the sea and surrounding marine environment, Lanzarote is considered one of the best places in Europe to go diving. 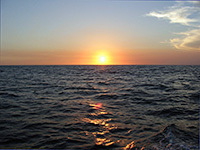 There are several unique volcanic marine reserves providing a wide biodiversity. To enjoy Lanzarote from another viewpoint, a boat trip with your partner or in a group allows you the luxury of visiting otherwise inaccessible beaches or coves with crystal clear water. 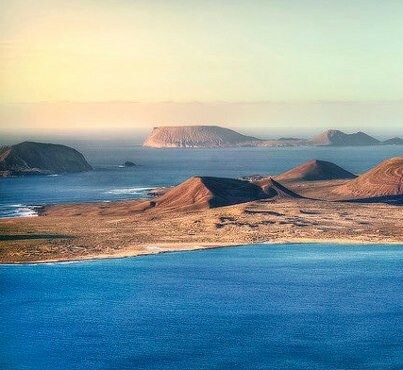 Trips are available to the Isla de Lobos and Fuerteventura or to the Archipiélago Chinito permitting you to access small islands off the beaten track. In the immensity of the Atlantic Ocean, lulled by the trade winds, sailing will allow you to accompany dolphins and whales as they pass through Canarian waters; or if you prefer, indulge in some sport fishing. 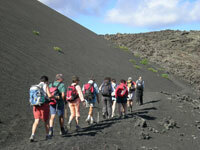 For more information about activities and things to see in Lanzarote, visit Lanzarote 3.